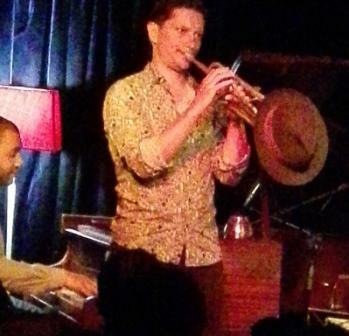 As light rain falls in the middle of Cape Town’s dry winter, Straight No Chaser is the place to be, a manageable venue that handles what warmth seekers want to hear – good live jazz. I walked in on last night’s well advertised gig featuring our own pianist Bokani Dyer who presented his band of seasoned Swiss musicians having musical ties to South Africa. Together, on a country wide tour, his Swiss Quintet performed Bokani’s own ‘dyertribe’ compositions, some from his latest album, ‘World Music’. I arrived for the second set, as the first group of patrons were leaving. Entering this small but cozy venue from the chilly wet outside, my eye glasses immediately fogged up. The sauna of human breath was inviting, indeed, and I quickly warmed up as these five musicians took to the stage, thanks to their sponsor, Prohelvetia. Being a Bheki Mseleku fan (as I am), Bokani performed his own version of Mseleku’s “Cycle” which featured a stunning double bass solo from Stephan Kurmann, followed by a piano duet which sounded very much like the late great Mseleku we knew. Trumpeter Mattias Spillmann started the next song rustling an A4 paper as the bass punctuated. Bokani plucked his piano strings. Drummer Norbert Pfammatter fell in with a steady funky beat. Then, Spillmann put his hat on his trumpet to act like a muffler, another innovative ‘hat trick’! I called this ‘trumpet ruffles while hat muffles’ as the song’s name wasn’t announced. The final song, “Fanfare”, struck off with a familiar South African beat – again a Mseleku sound – with an extraordinary saxophone solo by Donat Fisch followed by an equally competitive one by the trumpet. It was a finale making any outside inclement weather little to care about. The Bokani I knew from the past was shining, as usual. But he has lost his dredlocks. His shaved head grown out a little bit connotes him as avant-garde, plain, older, but simpler. I guess a Bokani in the raw!! I grew up with big Afro -black-is-beautiful heads. OK, I’m outdated…. Bokani’s set perked me up. Mind you, at 10.20pm, on a rainy chilly night at the bottom of this hemisphere, I could have dealt with bed. Easily. The trek out was worth it! And why the Swiss four? 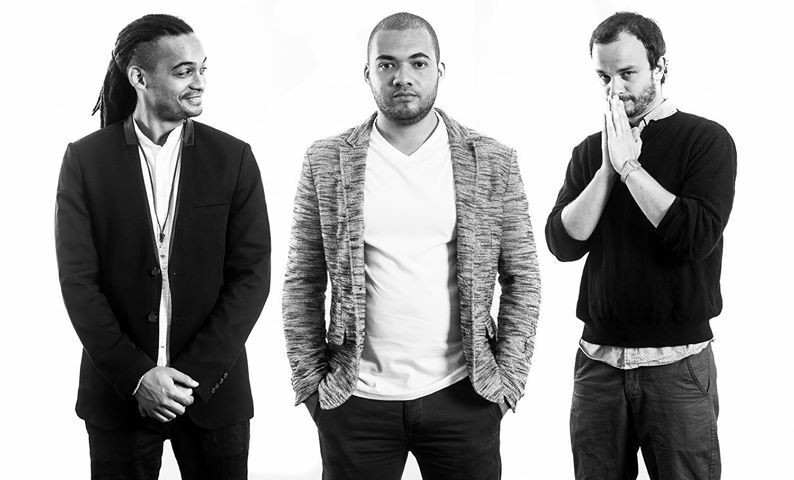 In May 2014, Bokani did a residency in Basel at the Bird’s Eye Jazz Club where he performed with his Swiss comrades who, individually, carry a wealth of experience with worldly views, including performing with notable South African musicians like Abdullah Ibrahim, Feya Faku, Marcus Wyatt, etc. I now look forward to digesting his new CD, ‘World Music’, which Bokani recorded with South Africans he has grown up with. The 12 songs promise another dyertribe special, I’m sure!